The Mental Elf iPhone app is now available! 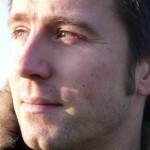 Home » Posts » Mental health » The Mental Elf iPhone app is now available! iPhone users can now get daily Mental Elf updates on their phone. Visit the Apple Store now to download the app. It’s available at a special introductory price of £0.69 for the next few weeks, so get it now! We recently ran a survey on the Mental Elf to find out what the readers want from the site. Thanks to everyone who helped with that (we got over 300 responses, which was great). "I would like to say how informative I find your service. It saves me time looking at new research or info when it is published as you usually have it in one place on your site. I have recommended it to many of my colleagues and they are in agreement that you certainly save us all time without the need to hunt around for published items." We’re delighted that the Mental Elf received such positive feedback from our readers and we’ve started responding to your ideas about new features. We are working on ideas for CPD tools and hope to have something to share with you in the not too distant future. 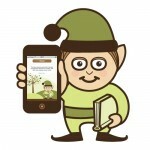 iPhone users can download the Mental Elf app now! It’s available at a reduced price of £0.69 for a limited period only, so please get it now to avoid crushing disappointment. The Android app is in development and we hope to make it available over the Summer. We’ll announce it here when it’s ready.